Updated 2016: In the world of Disney pin collecting, a number of unscrupulous pin traders and eBay pin sellers are out there. They will sell and trade scrappers and fakes as if they were authentic Disney pins and they flood the market with limited edition pins that are in high demand – making them worth virtually nothing. To protect the integrity of the pin trading hobby, here are some hints and tips you can follow to make sure these pin profiteers do not take advantage of you and do not continue to proliferate counterfeit pins through online auction sites. High positive feedback is not an indication of trustworthiness. The truth is most pin traders are amateurs and don’t even realize that they have a counterfeit. They only way they know is when they try to trade something at a show and someone with more experience points out to them flaws they’ve never seen before. Paint discoloration, paint dimples, rough edges, lightweight material, magnetized pins, etc. are all indicators of a fake. The first time you realize you’ve been taken advantage of is pretty disheartening. But by then it’s far too late and positive feedback has already been left for the seller. Simply check the negative and neutral feedback ratings. If you read they sell scrappers, odds are they do. This is an authentic pin but unfortunately pin forgers are getting very good and pins like this that are simple to produce and highly valued are easy targets for counterfeiters. Be wary of anyone who sells multiples of an item that has a low limited edition. Some sellers routinely auction off the same pins every week – many of which have low limited edition runs (LE300 or less). Worse yet, there are sellers who have multiple eBay IDs and put up the same pins under different names so you can’t pinpoint just one. The odds of multiples of the same pin with a low limited edition run being up for auction far after its release is a good indicator the seller is hawking fakes. 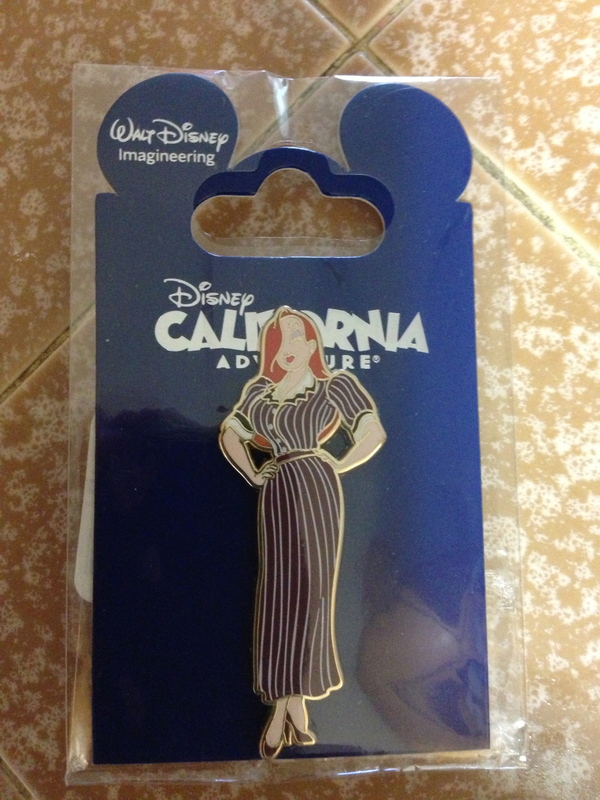 The Jessica DCA pins are good examples. Released by Walt Disney Imagineering exclusively for cast members, these flooded eBay. Full sets, framed sets, and individual pins are all over the place – of a pin that is only LE 150 and released in 2012. When a pin is new, there tends to be a flood of them on eBay as people sell their extras. But after an initial release, people tend to hold onto their pins. So if you suddenly see many of a very low LE pin that was in very high demand, odds are it is a counterfeit so beware. Fortune Cookie pins were a beautiful series of pins released in the park as a Mystery Pin. Super hard to create fakes because of the detail involved. Be cautious of those with extremely high seller feedback numbers. Do your homework. Do they release hundreds of pins every week or generally somewhere under 100? Do they list the same pins week after week? Are their prices unusually low for a pin that is in high demand? Do they sell lots of pins in bulk? Are they located in a place with a likelihood they attended the event themselves? All of these tidbits of information are available to anyone so take the time to look at them. Especially if the pin you’re interested in is in high demand. 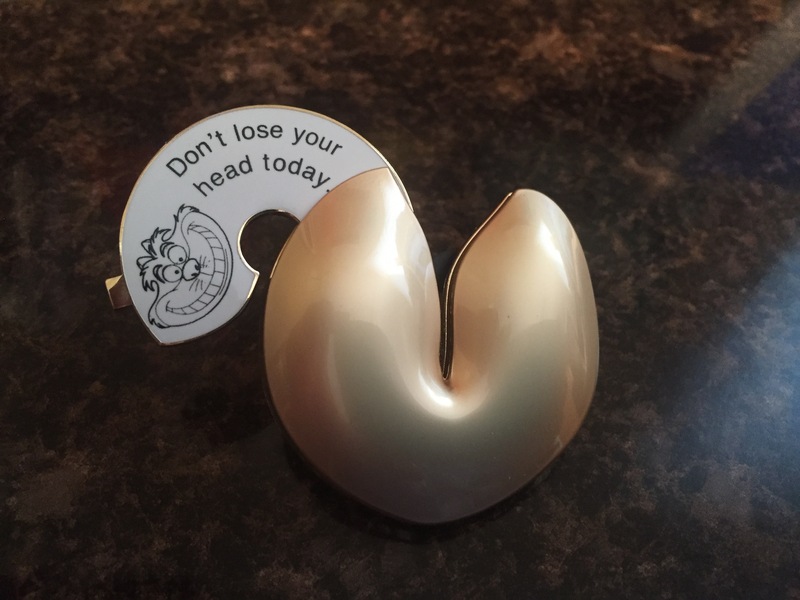 Now, if you are looking for a pin that isn’t in high demand and there are not a lot of them on the market, odds are it’s a good pin. But someone who is selling a large number of Disney Soda Fountain pins who lives in North Carolina or Alabama or Idaho is probably selling counterfeits. It would just be too difficult to get a high quantity of a low LE pin so far away from the original source. Is it impossible? No, of course not. But if you make a living selling pins and you don’t live near a theme park, it’s good to question the merchandise. The largest number of eBay sellers of Disney pins live near or around California and Florida because they have better access. They will also be near people who collect and when those people sell their collections they likely won’t travel to the East Coast, but instead go local. So keep those things in mind. 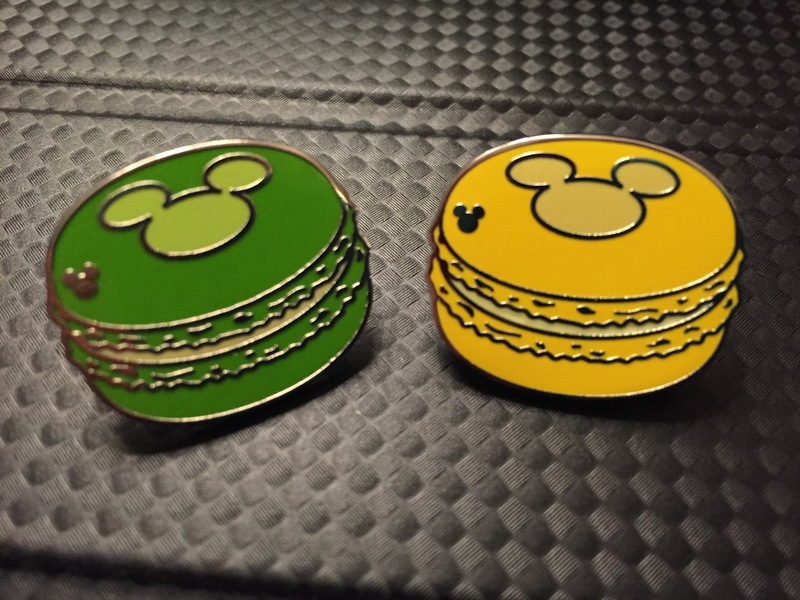 Love these Hidden Mickey macaron pins! Unfortunately, Hidden Mickey pins are the most commonly forged pins out there. These are authentic, but most pins on cast lanyards and park pin boards sadly are not. Read the descriptions. Truthfulness is important on eBay. If your descriptions can be proven to be false, a seller is banned and even dishonest sellers don’t want to ruin a profile with high feedback. To get around this, pin sellers hawking fakes will use key phrases to avoid directly lying such as “has the Disney trademark and can be traded in the parks.” Well any pin CAN be traded in the parks if it looks real. “Has Mickey head pin backs” is also a clue because it means nothing. You can simply buy pin backs and put them on and pin forgers just produce their own anyway. “We traded for these pins at the park” is also a clue because they likely went and traded scrappers for scrappers if they actually went at all. If you want to be sure, simply ask the seller a question, “Did you personally purchase this pin at the park (Disney Studio Store, WDI, etc)?” or “Can you guarantee that this pin is not a fake or scrapper?” An honest trader will answer. A dishonest one will likely avoid the question. These hints and tips are given just so you can be an aware pin trader. There’s nothing more disappointing than investing heavily in your hobby and finding out half your pins are fakes. So protect yourselves. The safest way of course to make sure you have authentic pins is to buy them directly from Disney. But if there’s a pin you want that you just couldn’t make it for the event or the release, then just be careful. Buy it near the release date. Buy it from someone who was probably at the event. And just be aware. If you are, you’ll be much happier! I was once a Disney cast member and started collecting pins in 2001. I like your blog, what is a good source or book to to go or read to find out what my pins might be? Well, Brendon, it’s just my opinion but the best place to research your pins is on eBay. You can find good resources like Tomart’s Guide, but the pricing is either understated or inflated. On eBay the pricing is what the market will currently hold. Things you might think are worth something you’ll find are worth virtually nothing and vice versa. It’s really all about what the market will dictate. Most pin traders follow eBay pretty closely and have a running idea of what their pins are “worth.” Obviously, pin value ultimately lies in the person who wants the pin and how much they are willing to part with. Good luck and let me know if you need any other help! Thanks for reading! Pingback: 5 Ways to Tell If Your Pin is a Fake – Pin Trading 101 | Disney Nerd! I find your blogs very helpful:) Thank you very much! I am a little confused about the photos on this page.. For the top photo you state the lefts a fake and the rights not and to notice the differences – but what are those differences? Could you spell it out and make it a little clearer? Also is the photo under that supposed to be on a fake or real pin? Thanks so much Kirsten for the compliments. If you look closely, you can see that the “frame” around the soda fountain logo in the fake is off center and doesn’t clearly surround the entire wording like the one on the right does. DSF pins have a very specific frame around the logo and LE that the one on the left doesn’t have. People who make fakes are generally good. If you weren’t familiar with DSF pins already you would never know which is why so many ebayers who pawn fakes get away with it. Too many people don’t know. The pin underneath is real. I actually purchased that one at the event. But they are getting better at forging it. Often times you can’t tell from the photo alone. It’s not until you get the pin that you can tell from the card backing, the weight, the feel of the edges, the printing on the back, etc. that it’s fake. Hope that helps! Do all pins have the waffling on the back? Today, all pins do, but older pins didn’t always have waffling. Some of my earliest pins are smooth on the back with a simple Disney copyright. OH man I wish I had read this 15 minutes ago before I won a bid on eBay from a seller in North Carolina for a DSF LE 300 pin released in 2013! I thought something was fishy with the price and although the pictures checked out (NOC w/serial number), everything else was red flags. At least it was only $4 I tossed out (even bigger red flag, ya think?). I think one of the things that gets my goat the most about scrappers is that I’ve read places (even by a DCP cast member trading on IG) is that they decide to get rid of them by trading them in the parks, which is disheartening, especially for the kids that trade not knowing that they’re getting duped by a fake. They should be taken out of circulation. Live and learn, I loved this post! I’m going to rifle through a few more of your posts now, thank you! Thanks so much for reading and I’m glad it helped you out! Yes, scrappers and fakes are becoming more and more sophisticated. Especially DSF/DSSH ones. For the collector, it’s buyer beware. Not sure what Disney can do about the scrappers in the park though. People just need to stop buying them. Most kids have no idea they are scrappers and if the goal is to make people happy, then I’m glad they are happy. I would just like to see these people who knowingly sell fake items to grow a conscience. This has always intrigued me; I have legitimate pins & a keychain with the pin-style charms on it that I bought at DSF last year, and also legitimate pins that I bought at DL/DCA last year. I’ve noticed that DL/WDW pin traders often speak about the waffling on the back (the Mickey heads) and how they should run seamlessly off the edge (my DL pins do)… However, like in your picture, my DSF pins/keychain are not seamless – there is a border around the edge that is not necessarily the same width the whole way around. I know they’re legitimate and I don’t plan on trading, so I don’t really care what the back looks like or what other people think, but I was curious to know how true it is as a guide if I buy WDW/DL pins second hand in the future? Or are the waffle patterns on some park pins the same as the DSF ones with the border? It’s so sad that people go to such lengths to make money and trick people. If all the world could just be honest! It would certainly make the world a better place!